The Conference Centre at Fabryka Wełny Hotel provides 650 square meters of versatile event space near Lodz. Modern and functional conference rooms have been designed for intimate business meetings, large conferences and exclusive banquets. 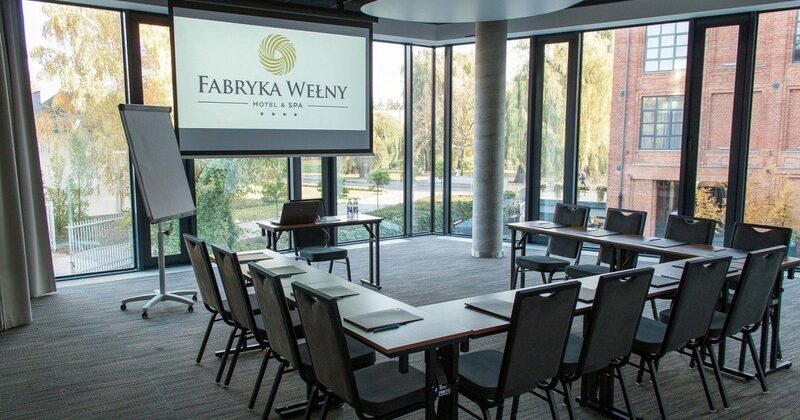 Fabryka Wełny is a perfect alternative for the people who are looking for a place to hold a conference in Lodz! Our facility is located just 15 km of the centre of Lodz and can be reached easily from the biggest cities in Poland. Moreover, we offer a spacious car park. All six modern, spacious and elegant conference rooms are located on the first floor and offer flexible arrangement possibilities. The foyer of the Hotel additionally allows the organisation of a small exhibition or an additional part of the presentation on the same floor. Conference room G offers 220 square metres of unique space ideal for creative sessions, brand and product presentations, and any event where the unique style of the given place is important. The room is located on the ground floor and is easily accessible from the outside, making it an ideal place for open meetings. 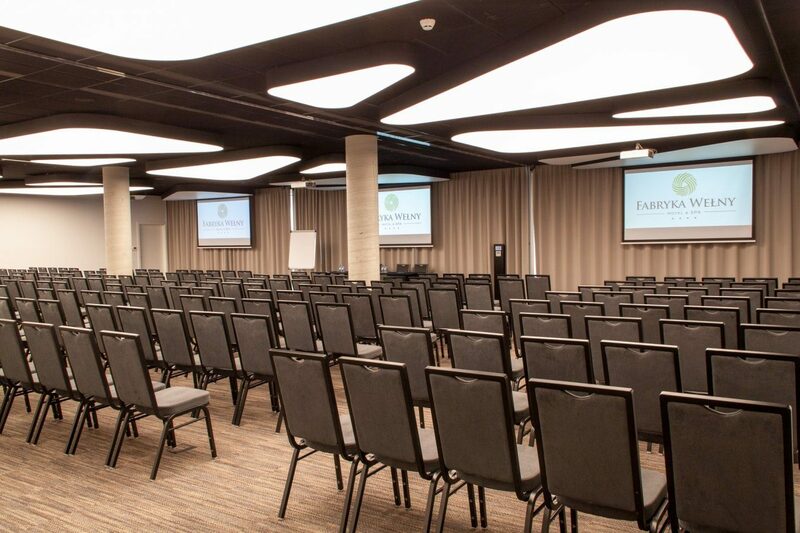 The functional design of the conference rooms, well thought out technical solutions and perfect atmosphere of the entire facility make Hotel Fabryka Wełny a perfect place to organise a conference in the Lodz province.